Almandine garnet; photo by Jake Slagle on Flickr (noncommercial use permitted with attribution). 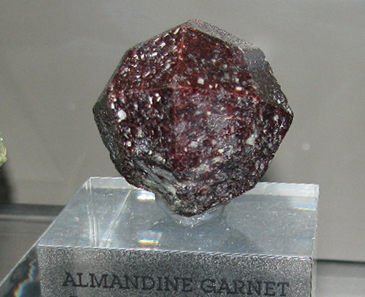 Garnet was designated the official state mineral of Connecticut in 1977. Some of the finest almandine garnet in the world is found in Connecticut. Garnet varies in color from pale to dark tints, including the deep violet-red of the almandine garnet. 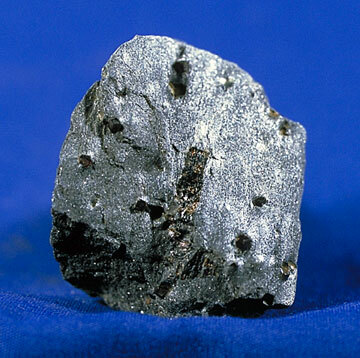 Garnet is a hard mineral also used as an abrasive in grinding wheels, saws, and sandpaper - this mineral played an important role in the history of Connecticut industry. Almandine garnet; photo by Taifighta on Flickr (noncommercial use permitted with attribution / share alike). 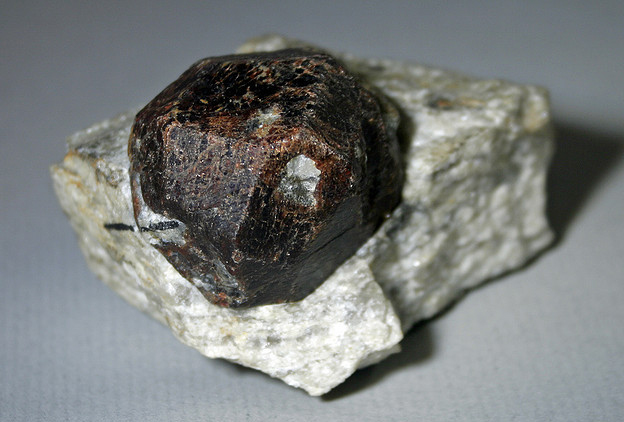 Industrial-grade garnet; photo courtesy of Mineral Information Institute: Garnet - Industrial (used by permission).